In addition to being prepared to answer the most common interview questions, behavioral interview questions are something that many hiring managers will incorporate in the interview. 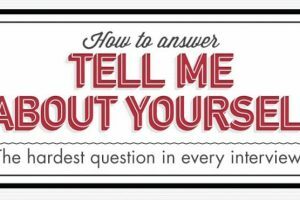 In contrast to typical interview questions such as “tell me about yourself” or “What are your strengths/weaknesses,” behavioral questions seek to understand how you’ve handled various work scenarios that arouse in the past. Hiring managers are seeking concrete examples of skills and qualifications that are directly related to the position at hand. Although there are hundreds of potential behavioral questions that may be asked during an interview, there are six types of questions that they usually fall under. 1) Give me an example of a team project that failed and how you handled it? 2) Discuss a time when you worked with a boss whose personality was very different from yours. 3) Describe a rewarding team experience. 1) Give me an example of someone you have coached/mentored to achieve success? 2) Tell me about a time when you led a project and it failed? How did you handle it? 3) Describe a time when you led by example. 1) Give me an example of when you had to work with someone difficult. 2) Tell me about the most difficult customer/client you had to deal with. 3) How do you handle conflicts at work? 1) Describe a situation when you had to solve a difficult problem. 2) Tell me about a time when you went above and beyond to get things done. 3) Give me an example of how you discovered a creative way to overcome an obstacle. 1) Tell me about a time when your company was undergoing change and how did you handle it? 2) Give me an example of when you were under a lot of pressure and how you handled it? 3) What is your greatest professional failure? 1) Tell me about your greatest professional accomplishment. 2) Tell me about a time when you had to manage several projects at the same time. 3) Describe a time when you were dissatisfied in your work and how you handled it? There are literally hundreds of behavioral interview questions that can be asked during an interview but they generally fall under these six types. Be ready to answer several variations of behavioral interview questions. Preparing yourself for these types of behavioral questions will give you an edge over candidates who just think they are good interviews and don’t need to prepare.